Get $5 off on your first order. Use Coupon code: 5OFF during the checkout. the side effects of drugs! 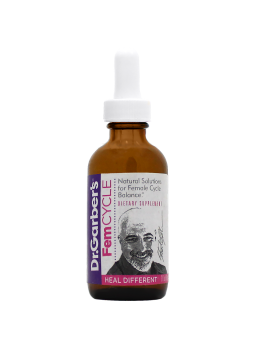 "After an uncomfortable experience with HRT I tried Dr. Garber's FemCycle. I've been taking the product for 6 months twice a day and I feel great! In one week my hot flashes and night sweats were gone. In a relatively short time my moods and sense of wellbeing became calm and consistent. This just makes sense!" 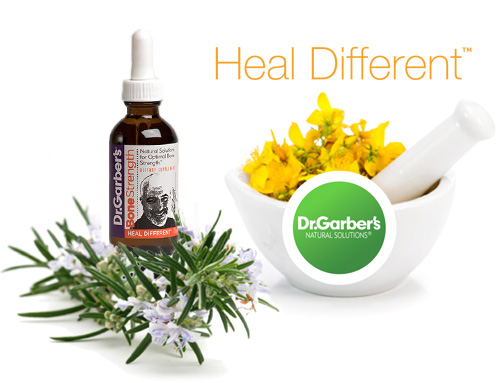 "I have suffered from seasonal allergies and asthma for a long time. I've been taking medications that caused numerous unpleasant side effects because I thought I had no alternative. Then I discovered Dr. Garber's Lung and EnviroDefense formulas and I have experienced a drastic reduction of symptoms. Thank you so much!" "I tried a sample of Dr. Garber’s Anxiety formula at a store demo because I was getting ready to drive home which makes me anxious. I was a little skeptical but by the time I got on the rode it was like the trees came alive, the birds were tweet-tweeting and I realized this thing really works. So thank you Dr. Garber." Sold in Whole Foods Markets and other health market chains in the United States. Please see store locator to find a retail outlet near you. Safe and effective with no known side effects - No adverse events reported. 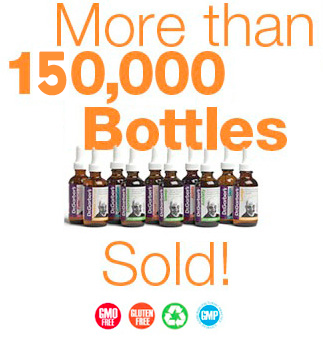 No known interactions with other supplements, homeopathic or pharmaceuticals. Safe and effective for children as well. Great tasting and easy to use. Used by practitioners nationwide for their patients, their families and themselves for over 10 years. Allowable by those following Kosher and Halal dietary restrictions.